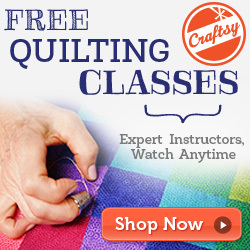 Quilting and creating for men can be hard. My brother lives in London so it's quite hard even to purchase gifts for him. Mum suggested I make him a quilt for Christmas, he may use it, he may not. He may ball it up and put it in the bottom of his closet. Who knows. Whatever happens it is made with love and hopefully the symbolism of a hug will not be lost on him. I found a really lovely set of fabrics that weren't too girly but weren't so manly that they became hideous. My sources tell me he has brown in his doona cover so the colours tie in with that. I decided that whatever design I created, it had focus on straight lines, squares and rectangles - manly shapes! Above you can see the layout, before I stitched anything. I was so so so so careful with my cutting and stitching and almost managed to line up all the seams. There is a milimetre out here and there but overall I'm happy with the effort. Unfortunately it lost a little of it's width once I stitched all those pieces together so I may add another row above and below in a solid colour. Looks great..Can't wait to see it finished!! I should be very happy with this present.... Nice colors and fabric.